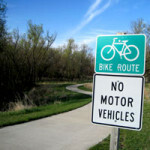 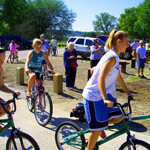 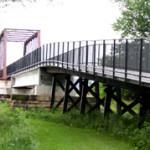 The Union Bridge Trail at Little Sioux Park is 1.75 miles long and connects the park to the town of Correctionville. 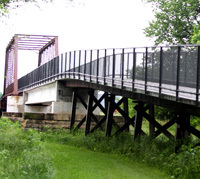 A ten foot wide concrete path winds through scenic areas and crosses the Little Sioux River with a spectacular historic bridge. 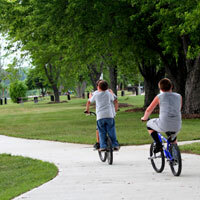 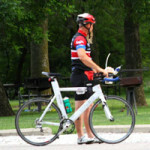 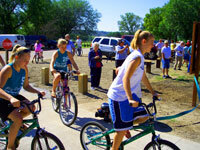 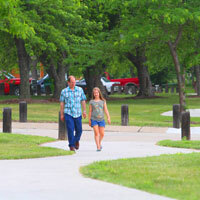 Snyder Bend Park has a shorter concrete path along the lakeshore that is perfect for walking or biking.